Winner: "Totally cool and confident"
With a whopping 50% of the votes the winner is.... "Sure I will have a child who is totally cool and confident. He or she will probably look at me every day and think, 'Why is this guy such a funny, quirky oddball?" You're all picturing RobDad aren't you?? How did your mods vote?? Kate and Tink were all on the same wave length with the "I'm not afraid to take a challenge" quote, whereas PJ & I went for "Avocados" because goofy Rob is my fave. 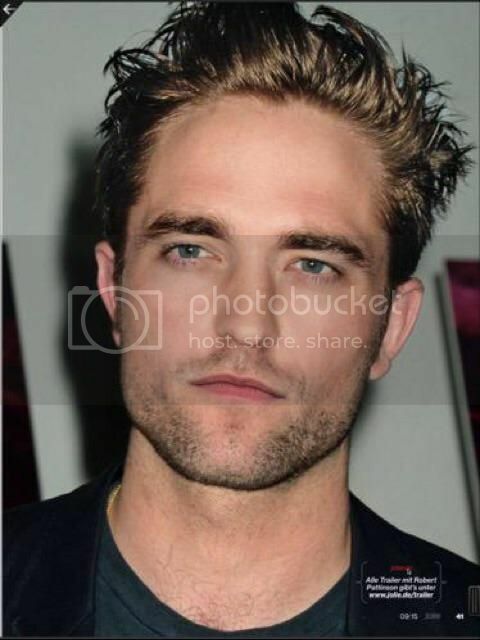 Labels: Best Quote, Poll results, Robert Pattinson, Robsessed Awards, who's your daddy?